The ceiling of a number x refers to the smallest integer (integral part) greater than x. 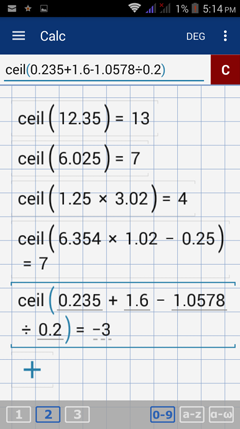 Find the integral part of each number using the ceiling function. 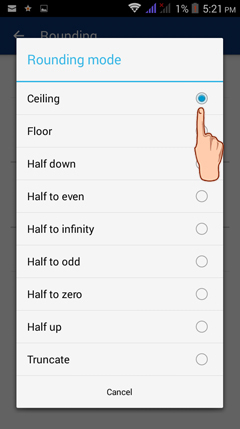 You can set the Rounding mode to ceiling instead of retyping "ceil." 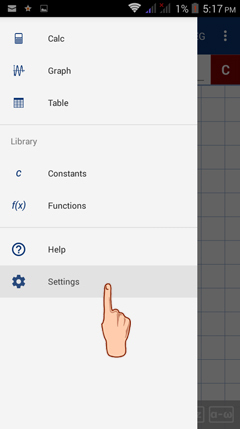 1) Tap the menu button. 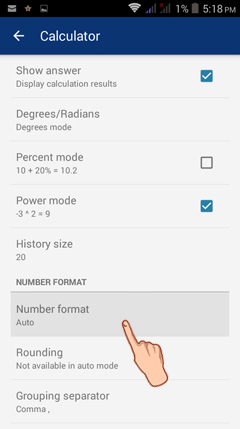 Then, select Settings. 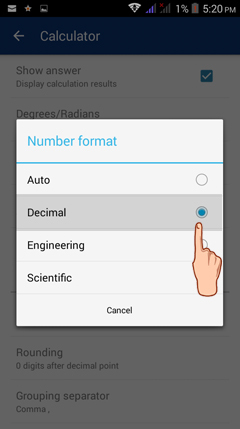 4) Since rounding modes are not available for Auto, set the number format to Decimal. 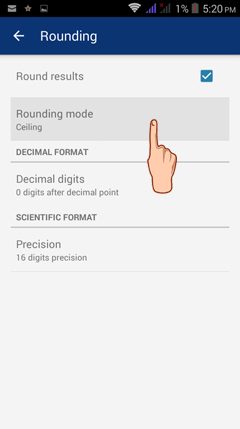 6) Set the rounding mode to Ceiling​. 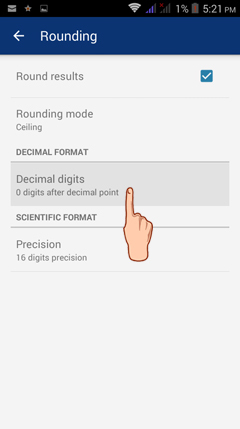 7) Tap Decimal digits to set the number of decimal digits to round to. 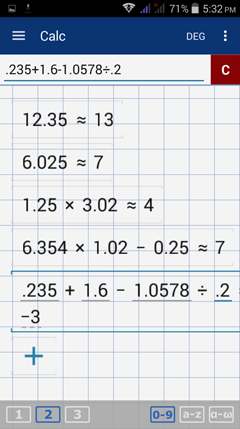 8) For this example, set the number of decimal digits to 0. 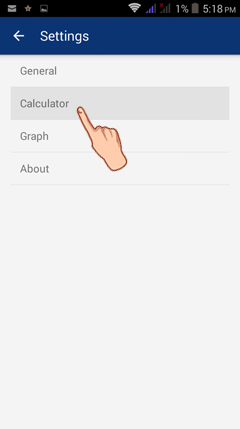 Then go back to the calculator window. 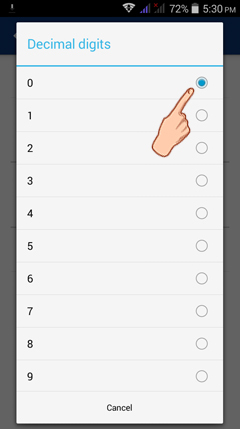 9) Enter the number or expression into the input field. Note that the answer is rounded to the smallest integer greater than the result. The answers match those found using Method 1.